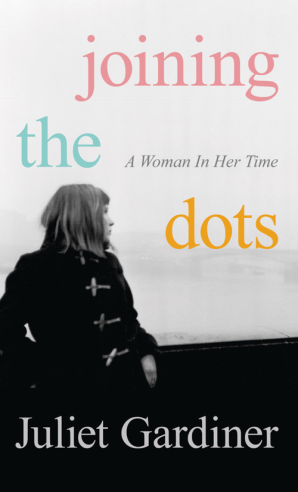 Join us for a discussion of Orwell Fellow Juliet Gardiner's memoir Joining the dots. Juliet will be in conversation with Dr Florence Sutcliffe-Braithwaite (UCL History) and Orwell Fellow David Kynaston (author of Austerity Britain and Modernity Britain), discussing the business of living and writing British social history in the 20th century. "As one of Britain’s best-known social historians, Juliet Gardiner writes here about the span of women’s lives from her birth during the Second World War to the election of Margaret Thatcher as prime minister. Using episodes from her own life as starting points to illuminate the broader history in society at large, she explores changing ideas towards birth and adoption, the importance of education for girls, the opportunities offered by university, to expectations of work and motherhood, not to mention her generation’s yearning for freedom." Doors will open at 18.00 for a 18.30 start. We will finish at 20.00 with drinks. Copies of Joining the dots will be available (cash only please).